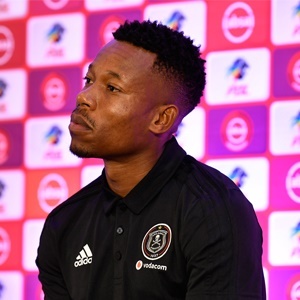 Cape Town - Orlando Pirates captain Happy Jele has hailed the achievement of Bafana Bafana in terms of qualifying for the Africa Cup of Nations (AFCON) in Egypt. South Africa qualified for the AFCON by defeating Libya 2-1 last Sunday in Tunisia with Percy Tau the difference as he bagged a brace. Nonetheless, Jele, who is a full international himself but last played for the national team in 2013, took time out to congratulate the Stuart Baxter-coached team. He said: "I'd start by saying congrats to the team, they did us proud there in Tunisia. Each and every one was working hard for us to qualify, and they did well. "From now on, the coach will know what they need to do in order to prepare for AFCON, because it's going to be difficult there in Egypt. "Everyone will need to show up, and the players that get selected there will need to step up, because they saw what it's like in the qualification campaign. "Obviously, they need to go and push more so that we end in a good position in the competition." The draw for the competition is set to take place on Friday, April 12 in Cairo.